For carefree days when one wishes to travel light, Fendi presents a new must-have for the season. Part of the Roman fashion house’s Spring/Summer collection, the Mon Trésor is casual bucket bag perfectly suited for toting one’s everyday essentials. Available in two types of leather in an array of monotone colours, this versatile accessory can be attached with straps of various lengths, allowing it to be held by hand or worn across the body. 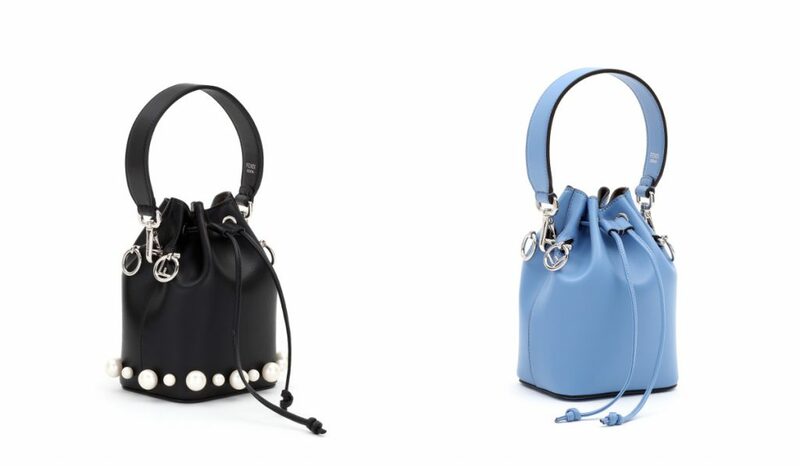 Additional charming details include a drawstring closure to hold everything in place and shiny silver-tone hardware located on both sides of the bag for adding extra straps and quirky charms. Eye-catching accessories from Fendi’s exuberant Spring/Summer collection. 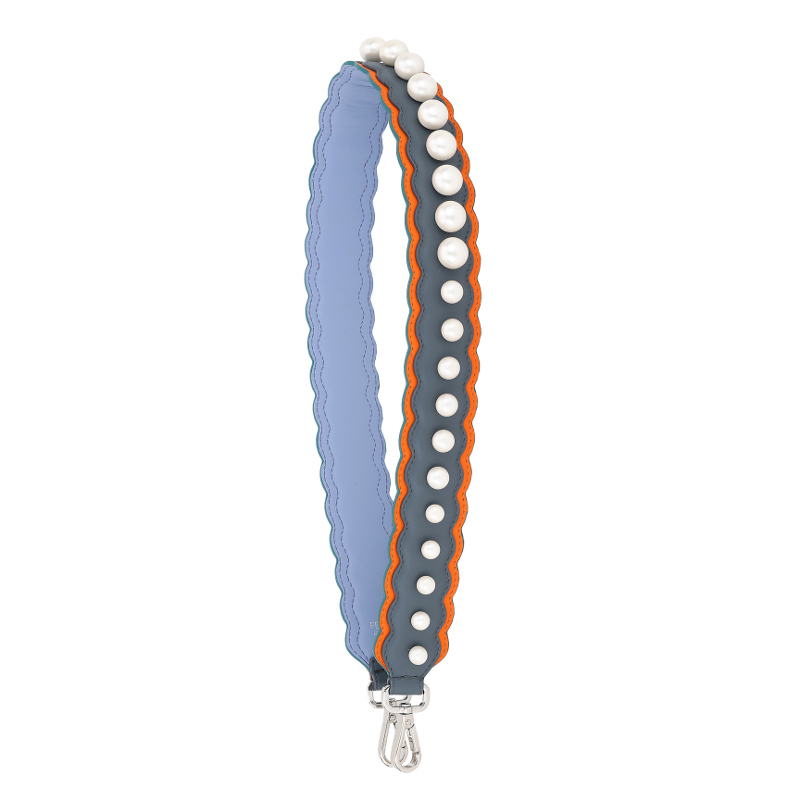 01 Shoulder strap in leather decorated with pearls. 02 Shoulder strap in leather decorated with metal eyelets and fabric weave with a bow. 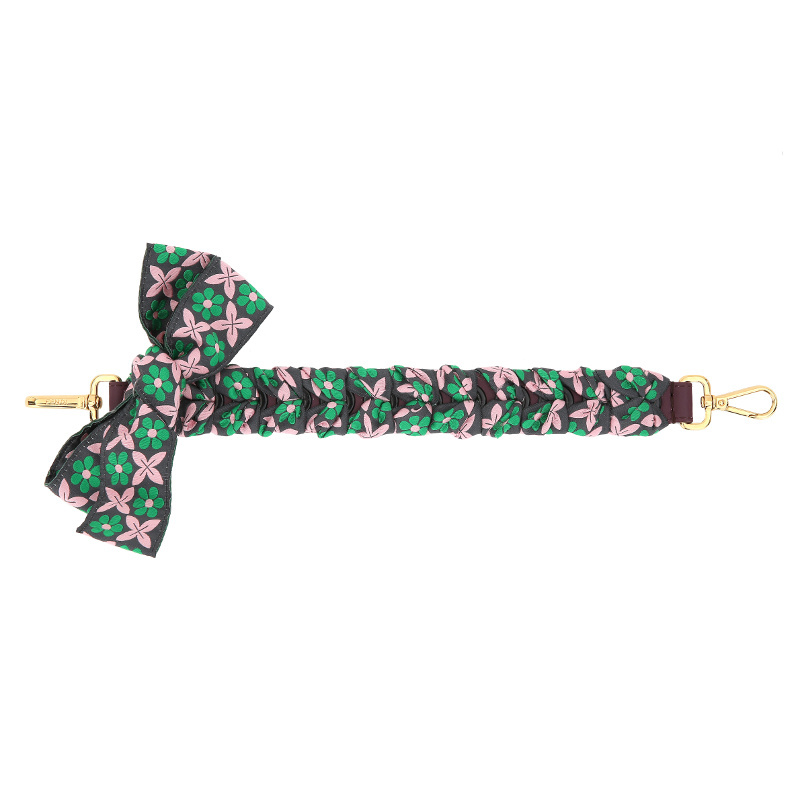 03 Cherry-shaped charm with red mink and green leather. 04 Ice cream-shaped charm with multicolour fox fur and a quilted leather cone. 05 Leather charm with multicolour inlays, mini studs and a discreet USB flash drive.